Parents are expected to drop off and pick up their kids at/from the campsite. Return: All parent should come and pick up their children by 2:00 PM on Sunday, August 20th. Camp Loma Mar has beautiful cabins for housing. In terms of activities, the campsite has hiking trails, a swimming pool, a low ropes course, arts and crafts, basketball and volleyball courts, a campfire bowl and stage, and a climbing wall. Generations of campers have enjoyed the fun and excitement of the great outdoors in this beautiful, pristine setting. 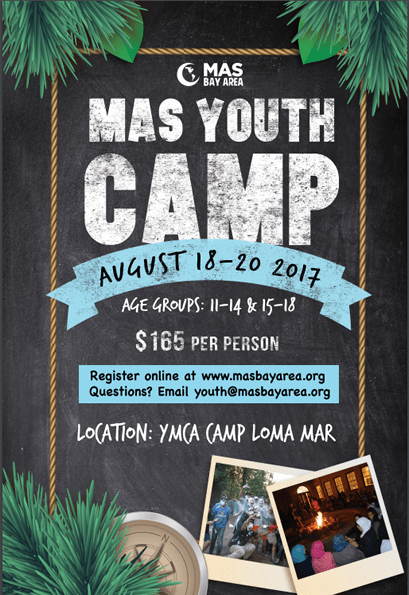 Camp Loma Mar is located in the Pescadero Valley, 15 miles south of Half Moon Bay and just 10 miles inland from the Pacific Ocean. The camp provides a natural setting of open spaces, recreation fields, oak trees and majestic redwoods along the banks of Pescadero Creek.